Full Service Florist. Same day delivery available. 100% satisfaction guaranteed. Call today for quality service. Full Service Florist. Satisfaction Guaranteed. Family owned and operated. Centrally located four blocks from the white house. Serving fortune 500 clients and Washington's major law firms. Full service florist. Satisfaction guaranteed! Family owned and operated. Specializing in unusual and high style custom arrangements. Serving all hospitals and funeral homes. Full service florist. Satisfaction guaranteed. Family owned & operated since 1994. Specializing in high style custom arrangements. Something for everyones taste and budget. Serving all hospitals and funeral homes. Full Service Florist. Satisfaction Guaranteed. 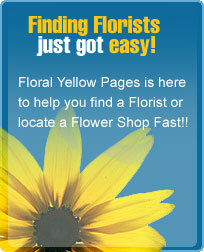 Established in 1957, one of Washington's oldest florist and named the city's best in 2001. Specializing in fine Floral arrangements. Gathered Stems provides a complete floral design services that epitomizes product quality and attention to detail that is unsurpassed in the industry. Our goal is to provide personal attention and expert designs that exceeds every client’s expectations. We Specialize in fresh flowers, artificial & dried arrangements, custom designs, weddings & parties.